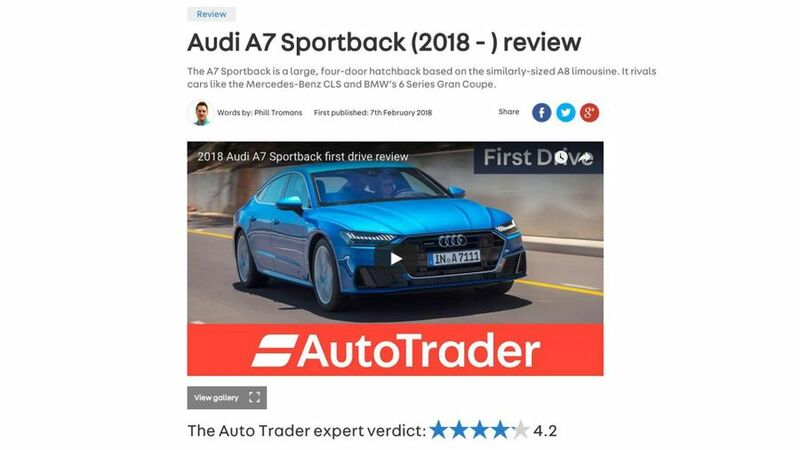 If you’re looking to learn everything there is to know about a particular car, Auto Trader’s Expert Reviews are the perfect place to start. How you do know you can trust them? Well, just look at the CVs of the people who are writing them. Not only do they have the best part of 80 years’ experience between them, that experience has been gained at some of the most highly regarded car review providers in Britain. There isn’t a better-qualified group of road testers in the business. That expertise is put to good use, too. What they produce is written in simple language and split into ten sections, meaning each test is as easy to understand as it is comprehensive. The tests are also continually updated. So, when a new engine or trim level is introduced to a range, or if a new rival is launched that affects how a car rates among its peers, the test is revised accordingly. Right from the word go, every test is simple, starting with the overall rating and verdict at the top of each test. A quick scan through these will soon show you if it’s worth reading any further. If you do decide to read on, you can go straight to what’s most important to you – whether that’s space, performance, economy, or something else – as the overall review is split into ten separate sections you can click to from the links in the ‘At a Glance’ section. To make it even easier, we also add in a star rating for each section, so you can compare a group of cars to see which is the best at what you want. And, if you like what you read, our recommendations will point you in the direction of the best models in the range. The review also includes a gallery of photos and, where possible, a video review as well, meaning that not only can you read what the car’s like, you can see what it’s like, too. If what you have seen and heard is enough to persuade you to take the plunge and buy a car, simply click on one of the links within the test to take you to our classified adverts, or to find a nearby dealer.